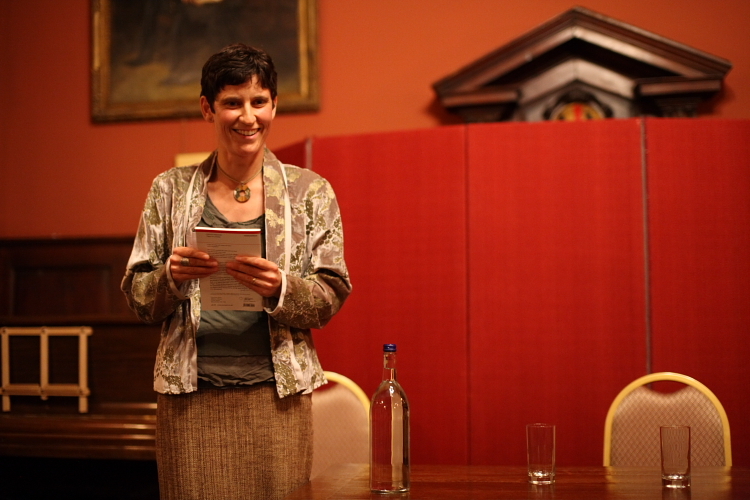 In memoriam Sarah Broom, poet & critic. When I first met Sarah Broom in Oxford in 1995, I did not expect the friendship of this slightly reserved, analytical New Zealand girl to mark me for life. She had come straight from Leeds University with an MA in Irish Literature to begin doctoral work on contemporary British and Irish poetry with Bernard O’Donoghue. These interests qualified her to join the Women and Ireland Group – an association of graduate students united by an irreverent feminism and a lively approach to academic debate about Irish interests. Gradually Sarah persuaded us out-of-doors and into the parks and whatever reserve there had been, disappeared, racquet in hand. In 2000, Sarah returned to her home-town to take up a lectureship at Dunedin’s Otago University. She was accompanied by her husband, Hilkja (Michael) Gleissner, a German law student whom she had first met at the age of eighteen at a youth festival in Japan. She moved to Massey University, Auckland and there completed a monograph, Contemporary British and Irish Poetry: An Introduction (Palgrave, 2006). Her choice of poets was typically adventurous and independent; it was clear that she was tracking the nuances of contemporary poetic debate in these remote islands with an attention and objectivity few of us could match. And this bore fruit. She gave up her lectureship, and with her two small sons to raise, devoted what time she had to writing poetry. In late 2007, pregnant with her third child, she wrote saying she thought her collection was nearly ready to send on. Then came the news. An asterisk occupies one page of Tigers at Awhitu, her debut collection published in the Oxford Poets series (Carcanet 2010, & Auckland University Press). In February 2008, when Sarah was in the twenty-eight week of pregnancy, she was diagnosed with stage-four lung cancer. Her daughter, Amelia, was delivered safely and Sarah – a fit non-smoker – was given, at 35, barely months to live. The poems on the other side of the asterisk assess the cruelty of that punctuation and expose the fury of her love for her children and Michael. While it takes courage and great intellectual clarity to occupy this space poetically, over the past five years Sarah accomplished something braver. She gave up her body to medical research, persuading the pharmaceutical companies to accept her onto trials that would see her travelling from Auckland to Melbourne and Boston for treatment at regular, exhausting intervals. And through it all, she fought to preserve that essential part of her, what W.N. Herbert identified in his glowing review as ‘the fragile sanctuary of the imagination’ (Poetry London). Last Christmas, Sarah sent me Gleam. It is a collection written in extremis, and contains some of the most beautiful and startling poems about dying I have ever read. Sarah Broom died on 18th April 2013, five years on from her initial diagnosis. Gleam will be published by Auckland University Press in July 2013. She is survived by her husband, Michael Gleissner, and their three children, Daniel, Christopher and Amelia.